I have always felt quite close to British Airways. It’s a brand I really want to love, but I just can’t quite let myself do that anymore. I’ve flown with it so many times over the years that I feel I know BA inside out, and probably because of that I’ve become increasingly disappointed with a lot of things: it seems to have fallen way behind other airlines on many fronts, particularly since it merged with Iberia to become part of the Madrid-based IAG in 2011. Its prices are not that competitive and are poor value for money. It feels like there has been a general lack of investment. The BA website and online booking experience is pretty dire. The product onboard, particularly the seats towards the front of the plane, is old and tired. As very often, for that matter, are the cabin crew. But then on the other hand, I do feel warmly towards the brand too. I feel safe when I’m in its hands, much more so than any other airline. It is the best of British after all, isn’t it? So would the launch campaign to kick off BA’s centenary year win me back? 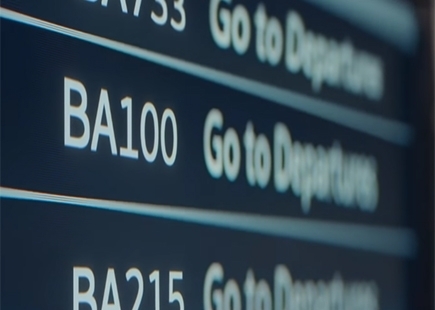 A 90-second heart-warming video, used as an ad, launches BA 100. 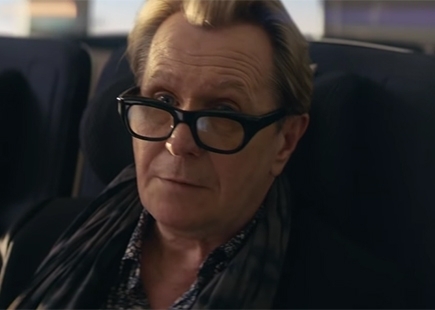 It includes stars of the screen Gary Oldman, Olivia Colman and Riz Ahmed, sporting stars Anthony Joshua, Ellie Simmonds, Nicola Adams, Chris Robshaw, Harriet Millar-Mills and Anthony Watson, musical icons Paloma Faith and The Kingdom Choir (with a cameo from David Bowie), alongside contemporary artist Grayson Perry, anthropologist Jane Goodall, chef and TV presenter Matilda Ramsay and Helen Sharman, the first British astronaut. 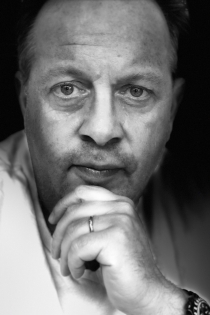 All the famous faces were brought together as leaders in their respective fields and who are playing an integral role in shaping the modern Britain of both today and the future. 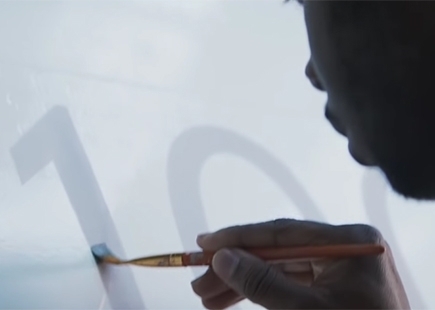 The film features customers, cabin crew, pilots and engineers from across the airline as they carry out the final touches for an incredible British Airways flight – BA100. Providing a snapshot of modern-day Britain, the iconic British superstars take their seats alongside people from all walks of life. As they make their journey on board, they each recount the values that they feel make Britain such a special place. It then signs off with the message, ‘We love you Britain. 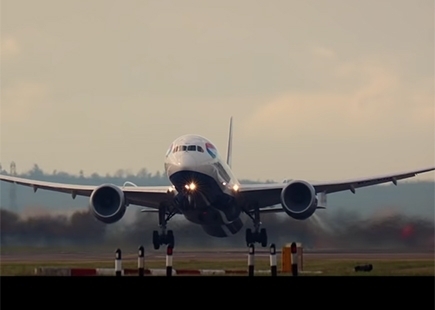 You make us who we are’ and the tagline ‘British Airways. Made By Britain’. It’s a clever tactic of BA to try to ‘own’ Britain. Basically, it is saying to me that if I love Britain, which I do, then that means I’ve got to love BA. Which I’ve already explained is a bit complicated. The video is wonderful, it entertains and makes you feel proud in equal measure. Plus, I really like a lot of the people they have in it. And the activity surrounding the centenary that is going to happen is nice too. BA will paint aircraft with much-loved designs from the last 100 years, including for aviation geeks, a BOAC-liveried 747. The airline also plans to identify 100 Great Britons, the people who are currently shaping modern Britain today. 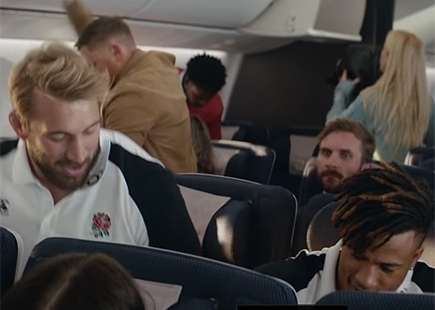 Even though all the complimentary seats the airline has had to dish out to all the celebs and others to take part in the video will probably make it even more impossible for me ever to redeem any Avios points for a free flight for the next 100 years, I think I’ve fallen back in love with BA again. Just don’t let me down this time. With the actual 100th birthday at the end of August, there is still plenty of time for BA to spring more surprises on us and add to this campaign. I’m looking forward to seeing what it comes up with.